If two wheels seems like too much of a balancing act, 3 wheel cycles are a stable alternative that still provide the thrill of motorcycle riding. Leaving less of a learning curve for new riders, 3 wheel cycles feature greater stability at lower speeds and are commonly equipped with a reverse gear. In the modern marketplace, there are several popular configurations for 3 wheel cycles. The trike style operates as a motorized tricycle with a single wheel at the front and two at the rear. This design is displayed with the Harley-Davidson Triglide Ultra Classic as well as the popular Free Wheeler. 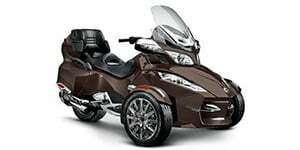 Another configuration of a 3 wheel cycle is exhibited most notably with the Can-Am Spyder, placing one wheel in the rear position and two in the front. Sidecar motorcycles constructed by companies like Ural could also qualify as a 3 wheel cycle and have gained some popularity recently. 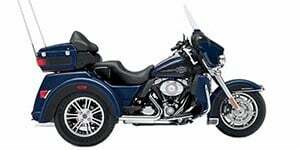 In relations to amenities, 3 wheel cycles tend to be outfitted with comfort items also found on touring motorcycles, including a large storage capacity making them well-suited for everyday riding and longer trips.